If It's Hip, It's Here (Archives): Anki DRIVE. Hot Wheels With A Brain Take Gaming To A Whole New Level. Anki DRIVE. Hot Wheels With A Brain Take Gaming To A Whole New Level. Anki DRIVE is a racing game like no other. It uses Artificial Intelligence (AI) and robotics to take the best of video games and combine it with the best of physical games. It's a video game in the real world. It's real. It's tangible. You hold the cars in your hand, and the track rolls out on your living room floor. The company was founded in 2010 by Carnegie Mellon Robotics Institute graduates who sought to create new consumer experiences using technology that was once confined to robotics labs and research institutes. 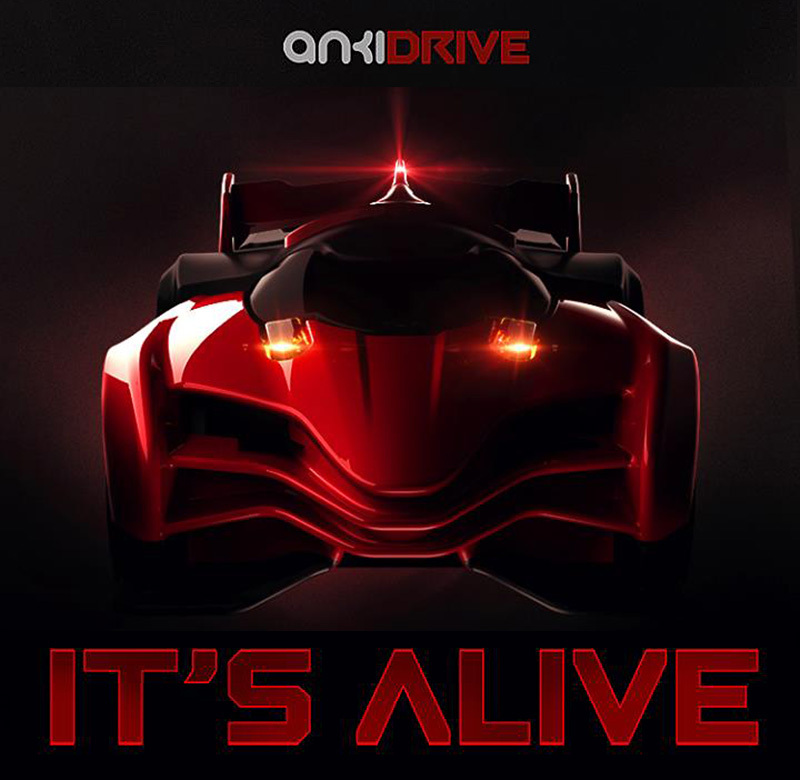 Its first product, Anki DRIVE, is now on sale in the United States and Canada. Named one of TIME's Best Inventions of 2013 and featured on Fast Company, HuffPo, Mashable and Barron's, it's been heralded as a literal game-changer. 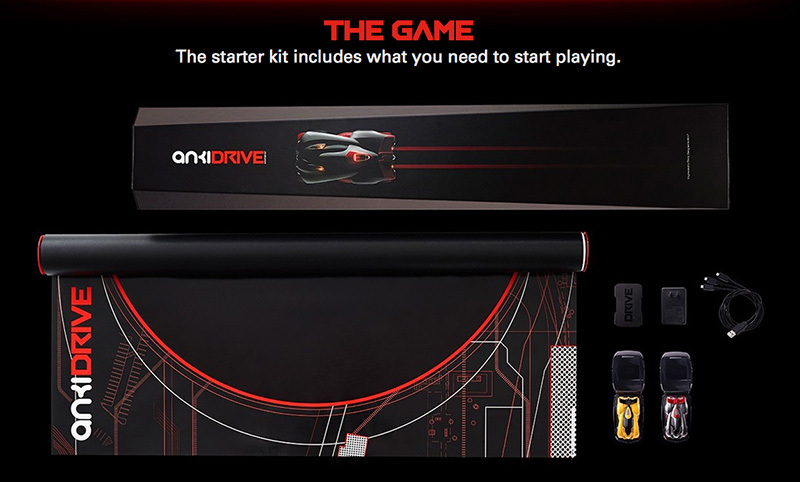 Anki DRIVE uses Artificial Intelligence (AI) to deliver the first video game in the real world. Each car has been engineered to think: It knows where it is, makes decisions, and drives itself. Using your iPhone, iPod touch, iPad, or iPad mini you can take control of a car to play against friends or AI cars. But watch your back. Anki DRIVE AI cars have been designed to take you out. 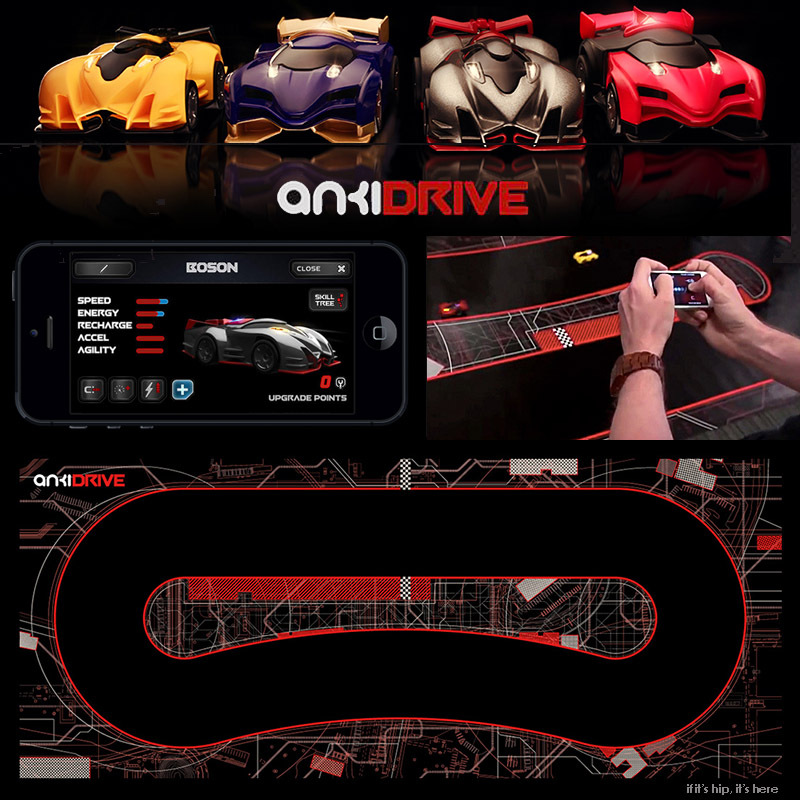 To experience Anki DRIVE each player must have an iPhone 4S or later, iPod touch (5th generation) or later, iPad 3 or later, or iPad mini or later. With slight aesthetic and technological changes since last June, you can now play Anki DRIVE against your friends, or against an AI-enabled opponent. 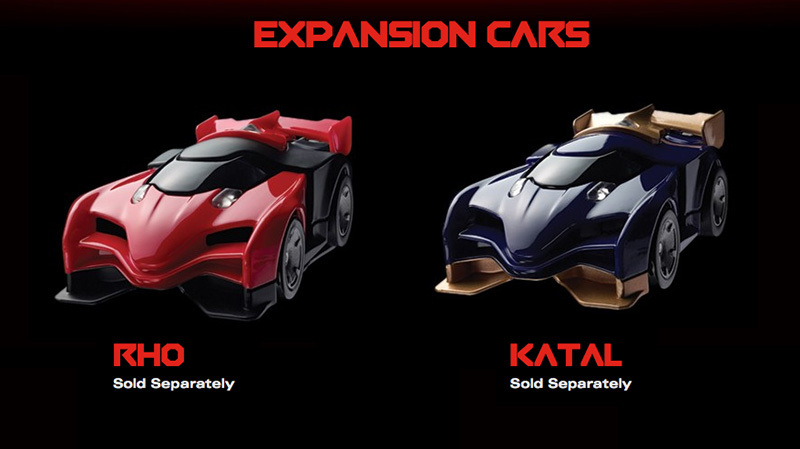 The more you race, the more points you earn, which you redeem to upgrade your cars' weapons and capabilities. Each one starts with unique skills. Your upgrade choices further customize the car to make it your own. • You can play Anki DRIVE against your friends, or against an AI–enabled opponent. • The AI cars own the road; they know your every move—and the more you drive, the more they evolve. • Similar to a video game, your character evolves over time. The more you race, the more points you earn, which you redeem to upgrade your cars' weapons and capabilities. 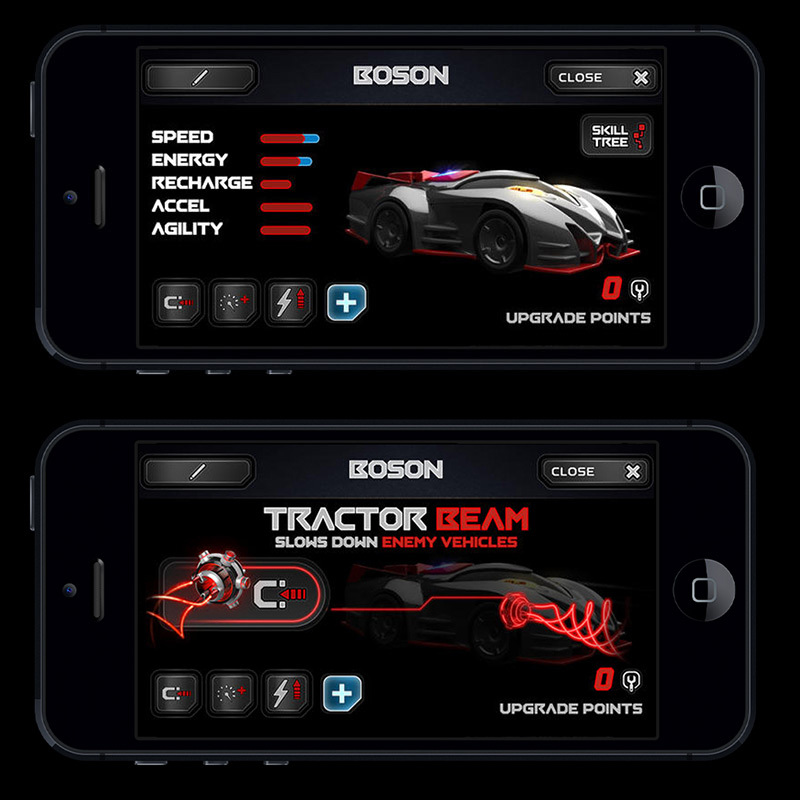 • Up to four vehicles can play at once; you and friends use iOS devices to control one to four of the cars. AI controls any cars you don't control. • Anki DRIVE includes a physical track that rolls out to 3.5 by 8.5 feet and is intended for use indoors. • You can place the track on any flat surface, though flooring or a low-pile carpet works best. • Anki DRIVE is suitable for all ages capable of navigating an iOS device. Learn more about Anki technology at www.anki.com and stay tuned for more Anki DRIVE™ updates by liking them on Facebook and following them on Twitter (@anki).